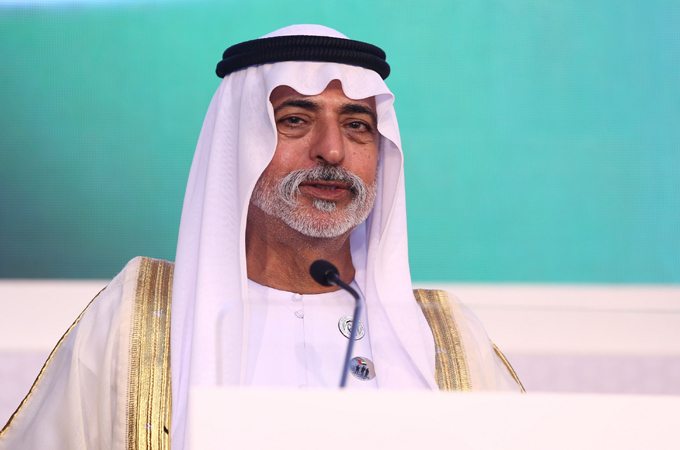 To the extent that tolerant societies are more open and innovative, it seems clear that they will be more economically prosperous and both India and the UAE are obvious cases in point, said Sheikh Nahyan bin Mubarak Al Nahyan, the UAE Minister of State for Tolerance. He added that tolerance in both countries makes us natural partners and friends. Addressing the Economic Times second annual India-UAE Strategic Conclave in Abu Dhabi, the minister said: “It’s time to consider the economics of tolerance. As friends who value tolerance and peace, India and the UAE have shared many things, much to our mutual advantage. Most prominent are the values that we have shared - a devotion to our own cultures and a deep respect for and appreciation of other cultures, ethnicities, languages, religions, and beliefs. “We have shared the desire for global peace and the safety, prosperity, and well-being of our communities. We have shared a devotion to tolerance, compassion, and dialogue. There are new and emerging areas of collaboration between India and the UAE to explore,” he added. Sheikh Nahyan reiterated the UAE’s commitment to tolerance as an essential component of society. “Tolerance is critical to the safety, security and peaceful prosperity enjoyed by the population of the UAE, drawn from more than 200 countries. Tolerance has been a key characteristic of the UAE since its foundation 47 years ago by the late Sheikh Zayed bin Sultan Al Nahyan, who taught us that tolerance means ‘knowing one another’,” he said. In his keynote address, Navdeep Suri, Indian Ambassador to the UAE, focused on taking a fresh approach to strengthen the age-old ties between India and the UAE. “The bilateral, trade and strategic relations between the UAE and India is expected to grow significantly in the coming years. There has never been a better time to expand the business connections links between India and the UAE. There are enormous Indian investments in to the UAE. We want to see much more business and investment interests from the UAE into India. “India is looking for a significant amount of investment from the UAE that will help substantially augment the trade and investment relations between the countries. The economic ties between India and the UAE dates back hundreds of years and we are proud of the two countries’ sustained efforts to strengthen this relationship further. There is a continuation of the relationship founded on the success of the two countries’ constant commitment to boost mutual bilateral ties,” he added. “India is planning to implement a skill mapping project in partnership with the UAE government to streamline the recruiting process in a much more transparent way. This will be in place in three months,” said the Indian Ambassador. More than 400 business leaders and 50 industry speakers and government officials congregated to lay the blueprint for greater economic cooperation between the two countries. The line-up of thought-leaders featured at the conclave included Jamal Al Jarwan, secretary general of the UAE International Investors Council; Sharafuddin Sharaf, chairman of UIBC and vice chairman of Sharaf Group; Yusuff Ali MA, chairman and MD - Lulu Group; Mohan Jashanmal, shareholder - Jashanmal Group; Dr B R Shetty, founder and chairman - NMC Healthcare; Sangita Reddy, joint MD - Apollo Hospitals; Samir Chaturvedi, CEO - Khalifa Industrial Zone Abu Dhabi (Kizad); Rajan Handa, MD - OK Play India; Adeeb Ahamed, MD - LuLu Financial Group, to name a few.